As I’ve mentioned before on The Simple Dollar, I take Synthroid every morning, as I’ve done since I was three days old. Synthroid is a medication used to treat hypothyroidism, which I’ve had since birth. At the end of the period, due to some studies my doctor had read, he decided to put me back on the normal Synthroid. Again, the cost made no difference to me and I didn’t notice much of a difference at any point. However, let’s assume that I had weaker prescription drug coverage and that the generic version of Synthroid was substantially cheaper than the name brand version. This little switch would have potentially saved me hundreds of dollars a year. If you’re taking a prescription drug – or are given a prescription by your doctor – that’s a savings well worth looking into. It’s simple. When you go to your doctor and are prescribed a medication, ask if there’s a generic version of the drug available and whether it is significantly different than the medication you’re being prescribed. Much like any other product, sometimes the generic version is identical and sometimes it’s not. In the cases where it’s different, sometimes the alternative version will work just fine and sometimes it won’t. For example, in the case of Synthroid, there are many people I’ve communicated with online who have experienced depression, headaches, and other symptoms from taking the generic version of the drug. For me, it worked just fine. Why make the switch? For most people, generic drugs are significantly less expensive than the name brand version. 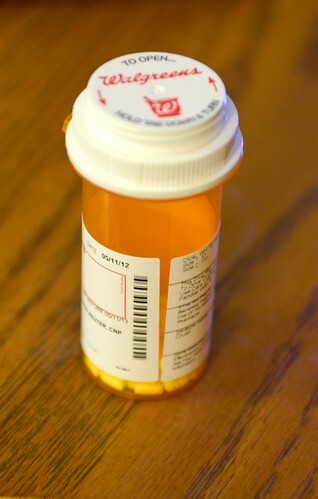 Many stores sell $4 generic prescriptions, providing you with a month of the generic drug for just $4. Compared to the high cost of many name brand drugs, that’s a big difference. If you try a generic drug and find that it doesn’t work for you, simply return to your doctor and explain the situation. You’ll get a prescription for the name brand version or else a prescription for a different medication. Most of the time, though, you’ll simply find that the generic drug fulfills your needs and saves you some money.